This is an almost one of a kind. 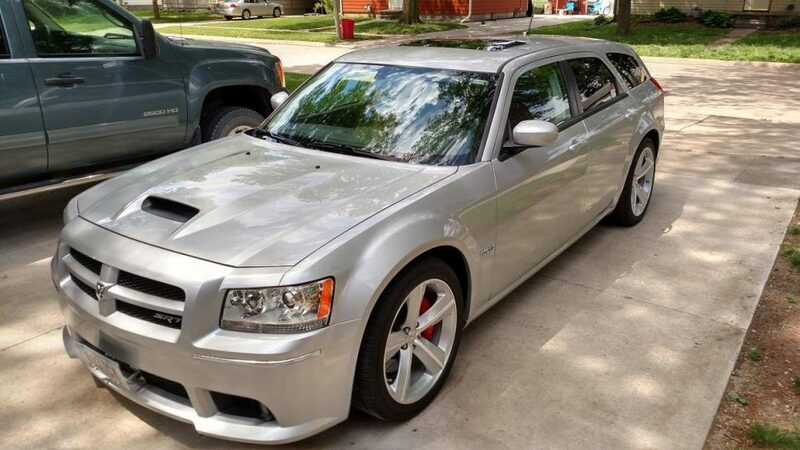 In 2008 Dodge produced 167 SRT 8 Magnums and only 24 in Silver. This is one of them. It is a one owner example of a very special vehicle. 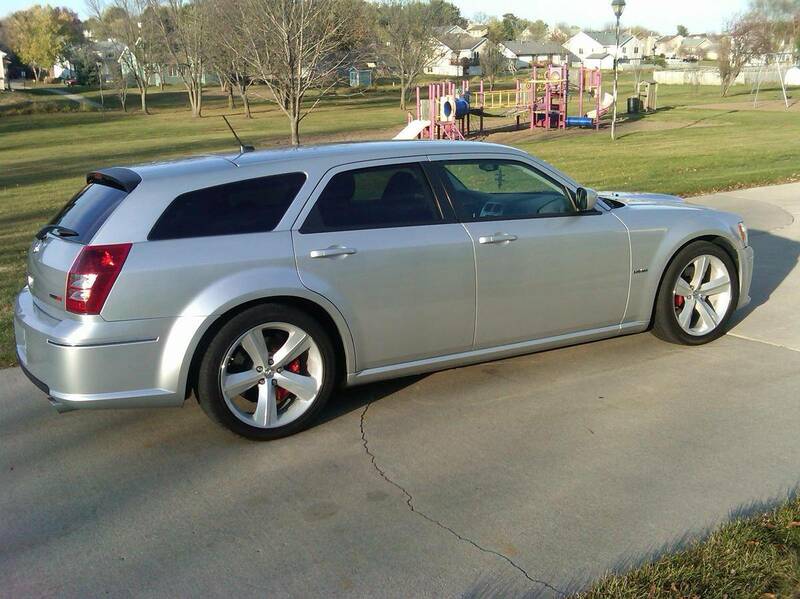 It runs great with the awesome 6.1 liter Hemi. It is equipped with almost every single option available that year. It has clean car report. 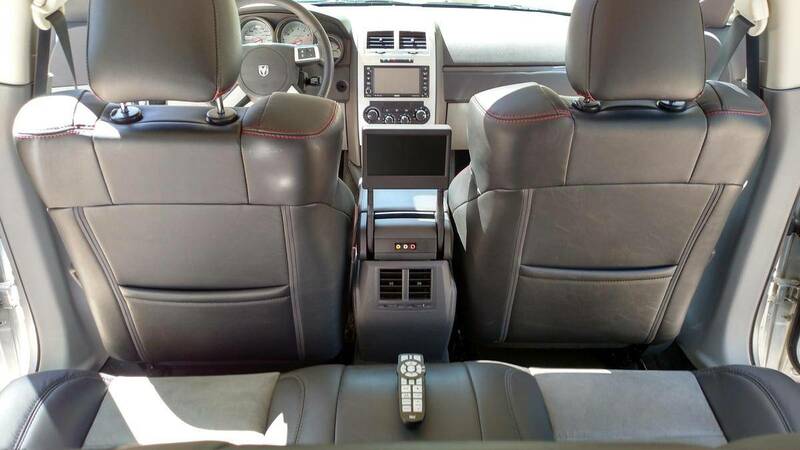 It features charcoal leather and suede interior with featured red stitching. Many options including MyGIG hard drive storage for music, Navigation system, 100 Watt Kicker subwoofer in the trunk area for great sound, Rear VES with optional Sirius backseat TV (never used this one though), VIN etched glass, Soft Car Cover, GorTex Car Bag, Full size spare tire, New AGM battery, Satellite radio, auto temperature ac, power sunroof, high intensity discharge headlights, fog lights, the rare Alcoa Forged aluminum wheels and remote start to name just a few items. If you like to drive something no one else around would have, this is it. 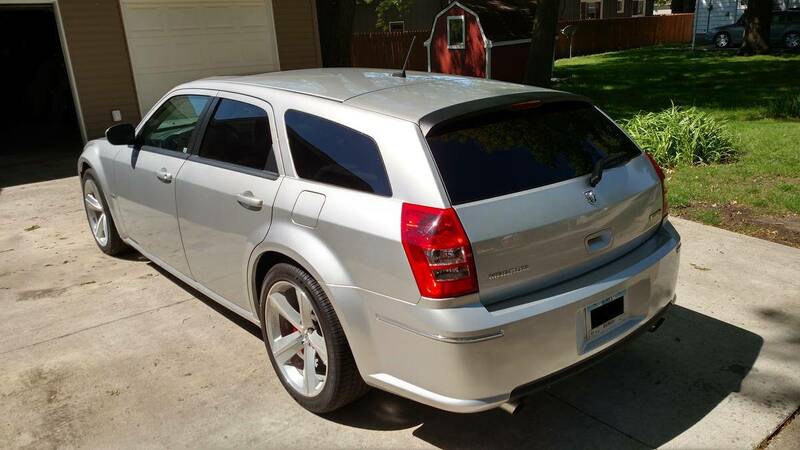 Original paint,Original tires, SRT Option Group I, SRT Option Group II, SRT Option Group III, 100-Watt Kicker SRT Subwoofer, 13 SRT High Performance Kicker Audio Speakers, 20 x 9.0 Aluminum SRT Design Wheels, 322 Watt Kicker SRT Amplifier, 4-Wheel Disc Brakes, 6 Speakers, ABS brakes, AM/FM 6 CD/DVD/MP3 w/SIRIUS Satellite, AM/FM radio: SIRIUS, Air Conditioning, Air Filtering, Automatic Air Conditioning w/Dual Zone Control, Automatic Headlamps, Body side moldings, Brake assist, Bumpers: body-color, CD player, Compass, DVD-Audio, Delay-off headlights, Driver Surround Sound, Driver door bin, Driver vanity mirror, Dual front impact airbags, Electronic Stability Control, Four wheel independent suspension, Front Bucket Seats, Front Center Armrest, Front fog lights, Front reading lights, Garage door transmitter, Heated Front Seats, Heated door mirrors, High-Intensity Discharge Headlamps, Illuminated entry, Instrument Cluster w/Perf Display Screen, Kicker Mobile Surround Sound System, Leather Shift Knob, Leather Trim Seats w/Preferred Suede, Low tire pressure warning, MP3 decoder, MyGIG Multimedia Infotainment w/Navigation/SIRIUS, Navigation System w/GPS, Occupant sensing airbag, Outside temperature display, Overhead console, Panic alarm, Passenger door bin, Passenger vanity mirror, Power Sunroof, Power door mirrors, Power driver seat, Power passenger seat, Power steering, Power windows, Rear Cargo Organizer, Rear reading lights, Rear seat center armrest, Rear window defroster, Rear window wiper, Rear-View Auto-Dimming Mirror w/Microphone, Remote Start System, Remote keyless entry, SIRIUS Satellite Radio, Supplemental Front Seat-Mounted Aide Air bags, Supplemental Side Curtain Front and Rear Air Bags, Speed control, Split folding rear seat, Steering wheel mounted audio controls, Tachometer, Telescoping steering wheel, Tilt steering wheel, Traction control, Trip computer, UConnect Hands-Free Communication, Variably intermittent wipers. 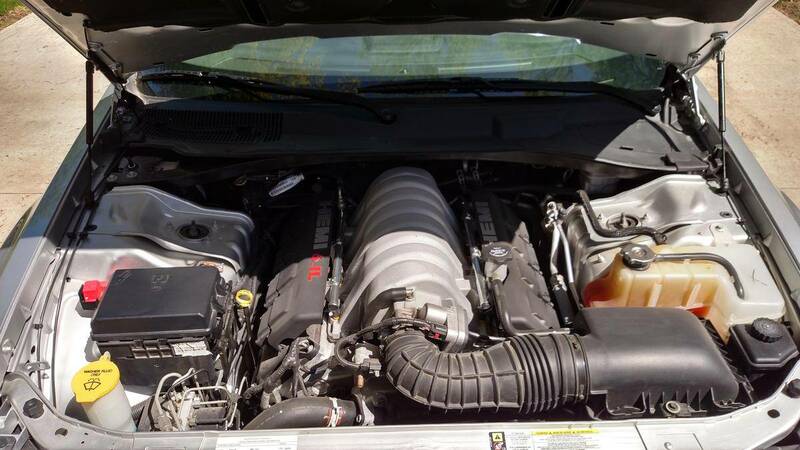 Find more Dodges for sale on Hemmings.com.